The surprise second straight monthly narrowing in the trade gap reported by the Commerce Department on Wednesday was also driven by soaring aircraft exports, which are likely to reverse after Boeing halted deliveries of its troubled 737 MAX aircraft. MAX planes have been grounded indefinitely following two deadly crashes. 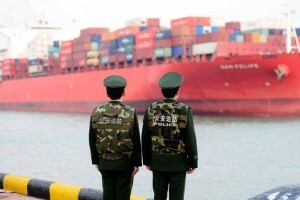 Economists warned the trade deficit would remain elevated regardless of whether the United States and China struck a trade deal that was to the White House’s liking because of Americans’ insatiable appetite for cheaper imports. U.S. semiconductor companies want no part of any trade deal that calls for stepped-up purchases from China, worried that would give Beijing more control over their industry. As prospects for an agreement to settle the U.S.-China trade standoff have waxed and waned in recent weeks, Washington has pressed Beijing to buy more than $1 trillion in U.S. goods and services as part of any deal. But U.S. chip makers said they have told President Trump’s administration not to include them in any such agreement. Because U.S. production costs are so high, mandatory-purchase quotas would essentially force U.S. chip makers to open new factories in China and give Beijing bureaucrats more sway over the U.S. firms, these companies said. That would benefit Chinese competitors and make the U.S. firms more dependent on Beijing, executives at the U.S. companies fear. 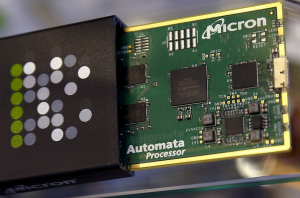 “Whatever the number, the Chinese chip purchase offer is a distraction that risks deepening Chinese state influence in an environment that is otherwise market-based,” said John Neuffer, president of the Semiconductor Industry Association. “The market should determine commercial success, not government fiat.” China has offered to buy $30 billion of U.S. chips over six years, industry officials said, essentially doubling U.S. semiconductor exports to China. That is down from a previous offer to buy $200 billion in chips over six years.